Home » Basics » What happens if frequency is changed from 50Hz to 60Hz? All loads are not speed dependable. Pumps and fans typically are so called variable torque loads, so less speed usually means also less load, and this is good if motor are self-cooled. Lighter load does not then require so much cooling. But that is not always a case, some loads can have full current drawn even in half of motor nominal speed. These are so called constant torque applications. 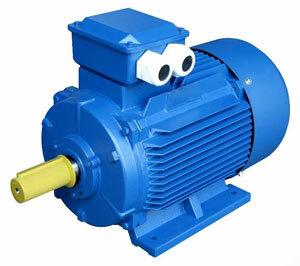 Usually these type of applications motors have external cooling fan. If an application is draw, let's say 75 % current at 1/2 of motor nominal speed e.g. 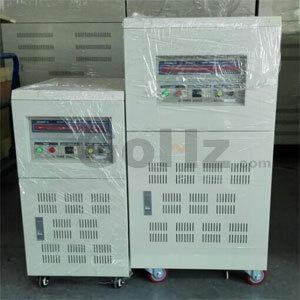 25 Hz, and motor is self-cooled, I guarantee that motor will heat up in that speed point with such load, it would be okay at 50 Hz, because it is rated to that. If the load is a fan or centrifugal pump, then no special precautions are required, as the non-linear load matches the non-linear cooling. When the output frequency is below 50Hz the output voltage is reduced usually in a linear relationship below the line voltage (say 415V). This means that less power is available to the motor (the maximum current remains the same but the voltage is reduced). 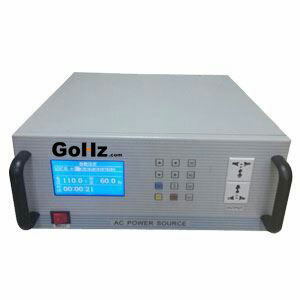 Some drives have a torque boost mode that means full line voltage is achieved at frequencies lower than 50Hz. The drive manual will detail this relationship and the settings that can be used to influence it. I have a motor for 380-420/50/3 and 440-480/60/3. Can I run this motor at 400/60/3 without any problems?